One common argument in support of e-pulltabs is that a portion of the money goes to support charities. While that’s true, the efficiency of some of the more popular e-pulltabs charities is pretty pathetic. 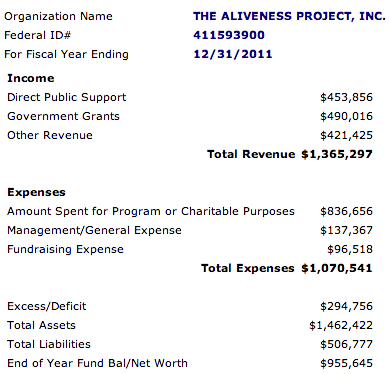 As I read that, this particular charity takes in 4 dollars for every one that ends up going to their charitable cause. $800k turns into $200k. This seems very inefficient to me. What if you’re a bar interested in making money from e-pulltabs but don’t have a charity partnership in place? No worries. 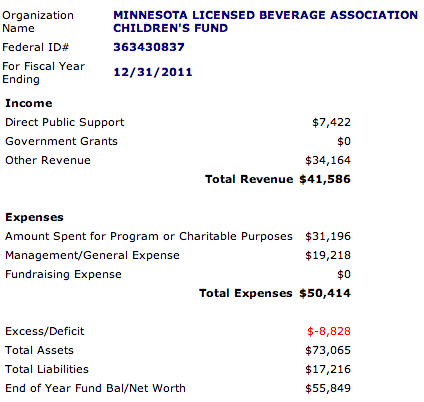 The Minnesota Licensed Beverage Association has a charity in a box called the Minnesota Licensed Beverage Association Children’s Fund. Both of the charities above appear to be fundraising charities, meaning they collect money only to donate it, so their overhead costs should be very low. As I understand this ranking system, both of these charities would receive a zero score from Charity Navigator for having administrative expenses greater than 25% of what ends up going to their charitable cause. The MLBA Children’s Fund appears to kick a portion of what’s left for charitable purposes to the Friends of The St Paul Public Libraries, which seems like a worthy cause. But, wouldn’t the St Paul Public Libraries be better off if they were the direct recipient of the funds rather than getting a portion of what’s left after the MLBA Children’s Fund plays the role middleman? Community Charities of Minnesota charitable work includes sponsoring a bumper bowling tournament. A Non-Profit Wing for Your Sales Team? It’s been a wild two weeks for Colin Minehart, one of Minnesota’s most ambitious promoters of electronic pulltab games. Fifteen hours a day, he’s on the phone, on the road, cajoling bars and restaurants to install the new games that are supposed to fund the Vikings stadium. Minehart is the gambling manager for the Minnesota Licensed Beverage Association, an organization that has emerged as a key driver since the games were rolled out Sept. 18. Three of the five bars that launched the gambling tablets are tied to the MLBA’s small charity. Another four signed on last week. Dozens more are expected down the road. So, a guy who’s the head of a non-profit is driving 1,000 miles/week to sell e-pulltabs, where the majority of the net profits go to private businesses. Quite a deal for the Vikings, e-pulltabs vendors, and bars, eh? 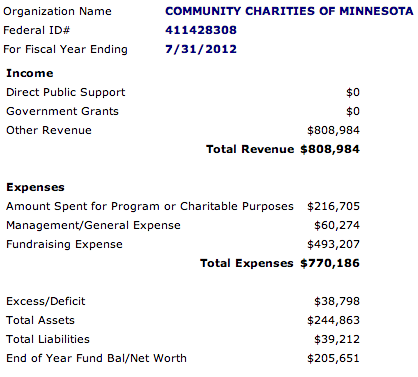 Perhaps this helps explain why the MLBA Children’s Fund’s administrative costs are so high? They look better than the MLBA Children’s fund and Community Charities of Minnesota to me. And, they are doing far more than cashing and writing checks, including running housing, a food shelf, and counseling services for people suffering from HIV/AIDS in the Twin Cities. My point is, if you’re going to exploit gamblers while claiming it’s for charity, at least have the decency to pick a quality charity to partner with. Perhaps the Gambling Control Board could set some standards on charitable performance requirements for e-pulltabs partnerships? Give gamblers some confidence that at least a portion of their losses really do support a good cause. @Bill, perhaps these charities will make an A-Rod argument to justify their charitable giving in the same way Mayo can leverage Wilfare to justify their corporate welfare requests?